Have you ever wanted to know how to make a gift basket so you could send a friend a special gift for their birthday, a wedding, anniversary, work promotion, Mother's Day, Father's Day, or just thinking of you? 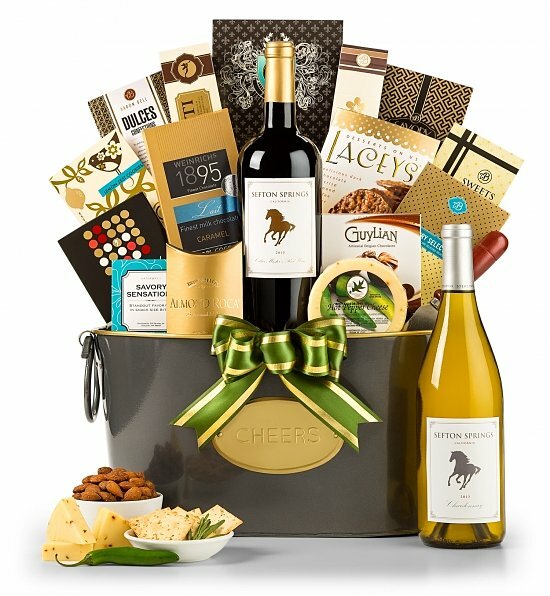 Well you can with a little bit of help and guidance, you can build your own gift basket ready to present to your gift recipient in person, or even ready to ship across the country or to another country - wherever your lucky gift recipients may be. Gift baskets are usually based on a particular theme or event. For example, if you would like to create and send a birthday gift, there are special birthday gift baskets which contain birthday themed items including an age candle, some over the hill themed goodies, or balloons. However, for many peoples birthdays, gift buyers choose a spa and bath gift basket for a special lady. This sends the message that you would like your gift recipient to rest, relax and enjoy themselves on their birthday and beyond. Other ideas for birthday gift basket themes include items which you know are of particular interest to the gift recipient themselves. For example, if they are a golfer, you could choose items with a golf theme - golf tees, a golf coffee mug, a golf towel, and other golf related items. As you can see, a birthday gift basket can be either based on the event itself or a theme. Other gift baskets based on an event include Mother's Day, Father's Day, a wedding, anniversary, the birth of a new baby, a promotion at work or the success of a particular project in a corporate setting, Valentine's Day, Christmas, Hanukkah, Administrator's Day, Grandparents Day, Easter, July 4 - Independence Day, Pet Birthday, a Housewarming for new home owners, a funeral, a get well gift for a sick person who has had to face a stay in the hospital or is bed ridden at home, or a Thank-you for just about any kind gesture for which you would like to send your appreciation. 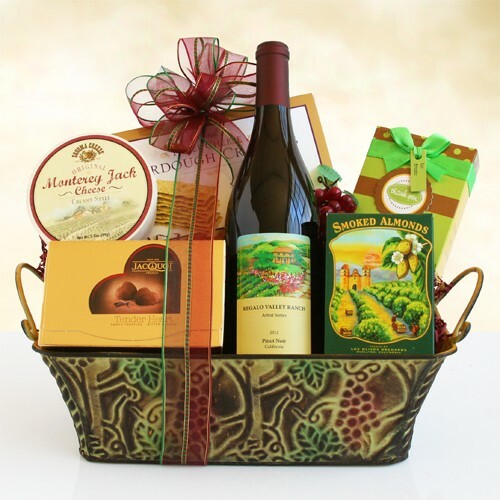 For any event based gift basket, you may want to choose items which relates to the event itself. For example, a housewarming gift may include items for a new kitchen such as a bamboo cutting board, a nice cutting knife, placemats, a tablecloth along with some wine and cheese for a bit of rest and relax time after moving in and unpacking. For a wedding or anniversary event, a gift basket with a bottle of champagne or wine is always suitable. Combine this bottle or bottles of champagne and wine with some gourmet foods or a gift certificate to a spa for the perfect wine gift. Put these items in a picnic basket and include a blanket, some champagne flutes and some gourmet chocolate and cheese for an added touch. They will be sure to be impressed. Themed gift baskets contain gift items which are related to a particular theme. 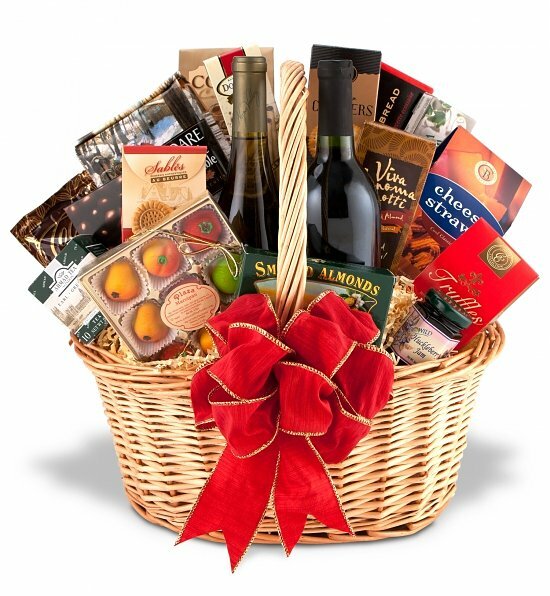 For example, if you know that your gift recipients love red wine, then be sure to include a bottle of red wine in the gift basket. Along with the red wine, try to find some dark chocolate and gourmet cheese which go especially well with red wine. For any wine lovers out there, you may want to find a decorative wine tote or some stainless steel wine tools - a corkscrew, bottle stopper and wine thermometer. 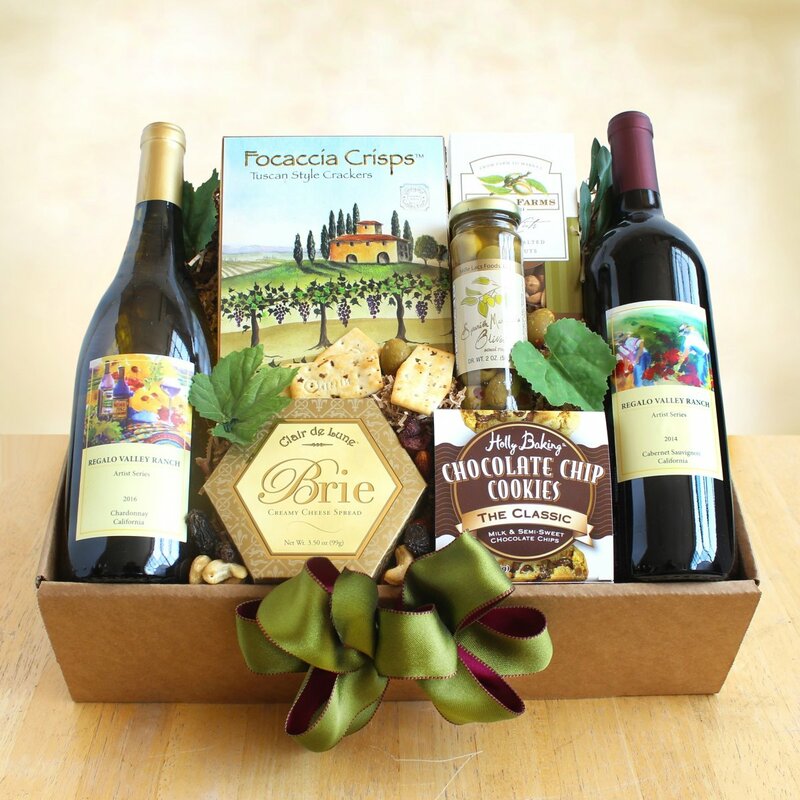 Try to find their favorite wine and include a bottle in the gift basket. As well, if you know that your gift recipient loves gardening, you can make your gift basket with lots of garden themed items such as special garden tools, a sun hat or visor, a tea mug, some iced tea, a special tall glass, a nail brush cleaner, gardening gloves, garden seeds and more all beautifully presented in a planter pot. This gift could be for a birthday gift, Mother's Day, Father's Day, for an Administrator who loves to garden or even double the items for a couples wedding gift. Now that the first step of making a gift basket is determined - whether your gift will be based on a theme or specifically the special occasion - you can begin to collect your items to include in the basket. At about the same time, you may want to seriously consider the basket or container you will be using to display and gift all of the items. For example, if you know what items you want to include, you need to find a container suitable for those items. Alternatively, you may have a container already which is appropriate and therefore, you should buy the appropriate number of gift items which will fit nicely into the basket. Once you have collected your items and have a decorative container or basket, try to place the items in the basket so that they are displayed nicely. Usually, you will try to put the larger taller items near the back of the basket with smaller items at the front or filling in any gaps. If you are sending this in the mail, you should carefully consider the packaging beneath and around the items so that they do not shift too much in the mail. Use some crinkle craft paper to fill in the spaces. You may want to use tissue paper in the bottom to support and cradle the gift items and to help in making the best display in terms of the height for each item. You can include your gift card inside the gift basket or attach it to the ribbons along with the next step. But, do not forget it especially if your sending this gift in the mail. You want to ensure that the gift recipient knows what the gift is for and from whom. The next step is to wrap the gift basket in a large cellophane gift bag. If you do not have a large cellophane bag, you can use some tulle which can be purchased at your local fabric store. At the center top of the gift, tie up the clear bag or tulle with some ribbon. Top it off with a large bow. Do not skimp on the bow. Make the bow appropriate to the size of the basket. A small bow will look awkward and unprofessional. Tie and curl some more ribbons around the top of the gift basket. The more the merrier in terms of decorative ribbons and bows. Please do not skip this previous step as it can make the difference in how the gift is perceived. Remember what your mother taught you about 'First Impressions'. If you are presenting your gift in person, you are finished - with the exception of the hand delivery. Be ready for a thrilled reception and a big thank you for the gift. They will be sure to recognize and acknowledge the time and effort you put into it.